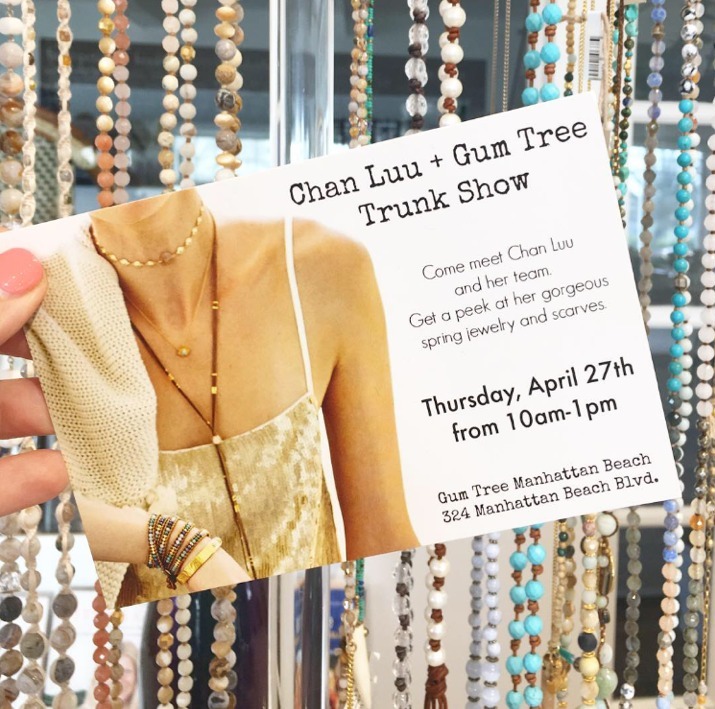 I hope you can join us this Thursday, April 27th when we welcome Chan Luu to our Manhattan Beach shop! She and her team will be there at 10am… with all new jewelry and scarves!! Each purchase of the day gets a raffle ticket, and one lucky lady will go home with a beautiful new necklace from Chan. Mimosa’s and mini muffins too. To learn a little more about Chan Luu, her history, her philosophy, and her iconic brand, take a look at this video.